Man's general way of thinking of the totality, i.e. his general world view, is crucial for overall order of the human mind itself. 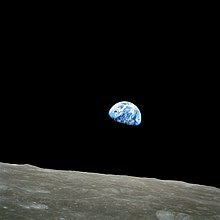 A world view (or worldview) is the fundamental cognitive orientation of an individual or society encompassing the entirety of the individual or society's knowledge and point-of-view, including natural philosophy; fundamental, existential, and normative postulates; or themes, values, emotions, and ethics. Russell L. Ackoff (1999) Re-Creating the Corporation, p. 4. World views, as related to the sciences, ethics, arts, politics and religions, are integral parts of all cultures. They have a strongly motivating and inspiring function. A socially shared view of the whole gives a culture a sense of direction, confidence and self-esteem. Moreover, interactions between cultures change constantly. Diederick Aerts, Leo Apostel, Bart De Moor, Staff Hellemans, Edel Maex, Hubert Van Belle & Jan Van der Veken (1994) World views. From Fragmentation to Integration. Vrije Universiteit Brussel, VUB Press. p. 8. A world view is a coherent collection of concepts and theorems that must allow us to construct a global image of the world, and in this way to understand as many elements of our experience as possible. Diederick Aerts et al. (1994) World views. From Fragmentation to Integration. p. 8. A world view is a system of co-ordinates or a frame of reference in which everything presented to us by our diverse experiences can be placed. It is a symbolic system of representation that allows us to integrate everything we know about the world and ourselves into a global picture, one that illuminates reality as it is presented to us within a certain culture. By spreading logical culture, we prepare the foundation for a scientific world-view and by doing this we enable development. Kazimierz Ajdukiewicz, (1985b, 142), as cited in: Dariusz Łukasiewicz, "Kazimierz Ajdukiewicz on the concept of the world-view and the rationality of religious beliefs." Studies in East European Thought 68.1 (2016): 85-99. Béla H. Bánáthy (1991) Systems design of education. p. 31-32. There are apartments in the soul which have a glorious out-look; from whose windows you can see across the river of death, and into the shining city beyond; but how often are these neglected for the lower ones, which have earthward-looking windows! Henry Ward Beecher, Life Thoughts (1858), p. 16. John Desmond Bernal (1959/1969) Science in history Vol 3. p. 862; cited in: Ludwig von Bertalanffy (1968) General System Theory. p. 5-6. David Bohm (1980) Wholeness and the Implicate Order. Rita Mae Brown (1989) Starting from Scratch. Charles Brough (2006) Untwisting the Social Sciences p. 142. If physics leads us today to a world view which is essentially mystical, it returns, in a way, to its beginning, 2,500 years ago. [...] This time, however, it is not only based on intuition, but also on experiments of great precision and sophistication, and on a rigorous and consistent mathematical formalism. Fritjof Capra (1975) The Tao of Physics. Ch. 1, Modern Physics, p. 19. Fritjof Capra (1975) The Tao of Physics. p. 93. Fritjof Capra, Gunter A. Pauli (1995) Steering business toward sustainability. p. 3. Manuel Castells (1983) Modernity — An Incomplete Project. Putting the right book in the right kid’s hands is kind of like giving that kid superpowers. Because one book leads to the next book and the next book and the next book and that is how a world-view grows. That is how you nourish thought. The systems approach goes on to discovering that every world-view is terribly restricted. C. West Churchman (1970) cited in: Michael C. Jackson ( 1992) Systems Methodology for the Management Sciences. p. 137. It has been argued from world view theory that fundamental beliefs about the world exert a powerful influence on how sense is made of events in the world. However, the nature of that influence has remained enigmatic. Hannah Arendt's distinction between thinking and comprehension, and knowing and apprehension provides a clarification. Thinking is the epistemological path to conceptual comprehension. Knowing is the metaphysical path to apprehension - to the acceptance of a concept as true or valid. Comprehension does not necessitate apprehension. One may reject a fully understood concept. William W. Cobern (1993) "World View, Metaphysics, and Epistemology". p. 2. Richard Dawkins in: Kam Patel (1995-04-28). "Going the whole hog". Times Higher Education. [Though computer science is a fairly new discipline, it is predominantly based on the Cartesian world view. As Edsgar W. Dijkstra has pointed out] A scientific discipline emerges with the - usually rather slow! - discovery of which aspects can be meaningfully 'studied in isolation for the sake of their own consistency. Edsger W. Dijkstra (1982) as cited in: Douglas Schuler, Douglas Schuler Jonathan Jacky (1989) Directions and Implications of Advanced Computing, 1987. Vol 1, p. 84. Yakov Frenkel (1894 -1953) as quoted Viktor Yakovlevich Frenkel (1996). Yakov Ilich Frenkel: his work, life, and letters. Birkhäuser. pp. 25-26. ISBN 3764327413. Ninety percent of [contemporary philosophers] see their principle task as that of beating religion out of men's heads. … We are far from being able to provide scientific basis for the theological world view. Kurt Gödel in "Logical Dilemmas: The Life and Work of Kurt Gödel" by John W. Dawson Jr.
John N. Gray (2008) "The atheist delusion," The Guardian, 2008-03-15. Francis Heylighen (2001) The science of self-organization and adaptivity p. 253. David Hockney Interview with Paul Joyce, New York, (September 1986) quoted in Hockney on Photography, ed. Wendy Brown (1988). Albert Hofmann (1980) LSD : My Problem Child Foreword. Objective reality, the world view produced by the spirit of scientific inquiry, is the myth of our time. [Kearney (1984) refers to worldview as] culturally organized macro-thought: those dynamically inter-related basic assumptions of a people that determine much of their behavior and decision making, as well as organizing much of their body of body of symbolic creations... and ethnophilosophy in general." Michael Kearney (1984) World view. p. 1; as cited in: Kenneth G. Tobin (1993) The practice of constructivism in science educaction. p. 58. This lack of a conceptual framework has been one of the main obstacles to the study of particular worldviews and their cross-cultural assessment. Therefore, as a contribution to the theory and study of world view, and also as a means of organizing this book, I am presenting a model of human world view. Though by no means comprehensive, this model does address the major issues having to do with the nature and role of culturally organized macro-thought: those dynamically interrelated basic cognitive assumptions of a people that determine much of their behavior and decision making, as well as organizing much of their body of body of symbolic creations - myth, religion, cosmology - and ethnophilosophy in general. Michael Kearney (1984) World view. p. 1. Søren Kierkegaard (1938) The Journals of Søren Kierkegaard. Pap. V B 53:20 1844 The Concept of Anxiety, Nichol p. 188. Ervin László (1996) The systems view of the world: A holistic vision for our time p. 12. Jack Layton "A letter to Canadians from the Honourable Jack Layton." 20 August 2011. Whereas the particular conception of ideology designates only a part of the opponent's assertions as ideologies — and this only with reference to their content, the total conception calls into question the opponent's total Weltanschauung (including his conceptual apparatus), and attempts to understand these concepts as an outgrowth of the collective life of which he partakes. Both Religion and science require a belief in God. For believers, God is in the beginning, and for physicists He is at the end of all considerations... To the former He is the foundation, to the latter, the crown of the edifice of every generalized world view. ~ Max Planck. Modern man lacks a unified conception of the world. He lives in a dual world: in his environment, which is naturally given to him, and, at the same time, in the world which since the beginning of the modern era has been created for him by sciences founded upon the principle that the laws of nature are, in essence, mathematical. The non-unity which has thus come to penetrate our entire life is the true source of the spiritual crisis we are going through today. Both Religion and science require a belief in God. For believers, God is in the beginning, and for physicists He is at the end of all considerations... To the former He is the foundation, to the latter, the crown of the edifice of every generalized world view. Max Planck Religion and Natural Science (Lecture Given 1937). To become a token woman—whether you win the Nobel Prize or merely get tenure at the cost of denying your sisters—is to become something less than a man … since men are loyal at least to their own world-view, their laws of brotherhood and self-interest. Adrienne Rich As quoted in Ms. magazine, p. 44 (September 1979). 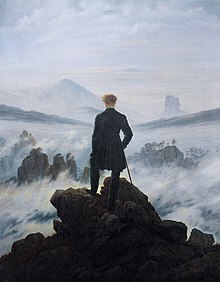 A rigid, blinkered, absolutist world view is the easiest to keep hold of, whereas the fluid, uncertain, metamorphic picture I've always carried about is rather more vulnerable. Salman Rushdie Address at Columbia University (1991). The systematic perversion and reinterpretation of the values themselves is much more effective than the “slandering” of persons or the falsification of the world view could ever be. - What are the necessary and therefore universal types of images and assumptions which are part of any world view, and what are the specific contents of these universals? - What relationship do these images and assumptions have with the world they represent? - What influence does this world view have on behaviour? There has been growing interest in world view theory in science education research Cobern (1993a, 1993b, 1994, 1997) in particular has embraced the notion of world view in arguing the importance of fundamental beliefs with respect to learning science. Marc Schäfer (2004) "World view theory and the conceptualisation of space". Max Scheler (1912) Das Ressentiment im Aufbau der Moralen'. 'L. Coser, trans. (1973), pp. 76-77. In 1925, the world view of physics was a model of a great machine composed of separable interacting material particles. During the next few years, Schrodinger and Heisenberg and their followers created a universe based on super imposed inseparable waves of probability amplitudes. This new view would be entirely consistent with the Vedantic concept of All in One. Erwin Schrödinger in Schrödinger: Life and Thought (1989) Walter J. Moore eds. Didier Sornette (2003) Why Stock Markets Crash - Critical Events in Complex Systems. Even the seeming remoteness of Pythagorean teaching helps one to realize that the current world view, while it seems destined to dominate the planet, is fleeting and temporary and, like others before it, will pass. John Strohmeier and Peter Westbrook. (1999) Divine Harmony : The Life and Teachings of Pythagoras. In spite of the dominance of mechanistic thought in the contemporary world, a perplexing residue of the magical tradition still survives in the form of several issues, solutions to which do not appear possible within the context of a purely mechanical view of the world.... It is important to recognize that the materialist, scientific paradigm that dominates the late twentieth century world and provides the basis for its dominant institutions, has its basis in the life and work of Pythagoras, one of the most significant representatives of the perennial philosophy and a founder of the magical tradition. This spirit, which gave rise to our world view, is a spirit that must be recaptured if our civilization is to flourish. The choice is a clear one to many, and was summed up in a book title by the late Pythagorean and futurist Buckminster Fuller, Utopia or Oblivion. John Strohmeier and Peter Westbrook, in Divine Harmony : The Life and Teachings of Pythagoras (1999). World view, a concept borrowed from cultural anthropology, refers to the culturally dependent, generally subconscious, fundamental organization of the mind. This conceptual organization manifests itself as a set of presuppositions that predispose one to feel, think, and act in predictable patterns. Kenneth G. Tobin (1993) The practice of constructivism in science educacion. p. 58: Talking about world view theory. Math is perfect (in principle), but mathematicians are not (because they are humans), hence the mathematics that (human) mathematicians do is influenced by the weltanschauung of the people around them. Doron Zeilberger "Computerized Deconstruction". Appeared in Adv. Appl. Math. v. 31 (2003), 532-543. Diederick Aerts et al. (1994) World views. From Fragmentation to Integration. Vrije Universiteit Brussel, VUB Press.